Congrats to Lake Erie Baseball for winning the 17U CABA High School World Series in Euclid, OH! They defeated Bergen Beach, 14-9 in the championship game! 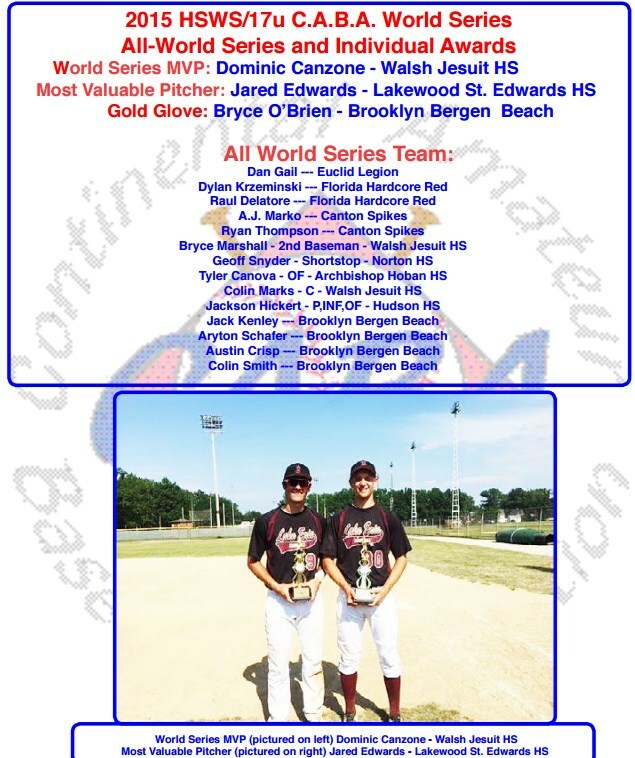 Congrats to all the 17U CABA High School World Series Award winners too!